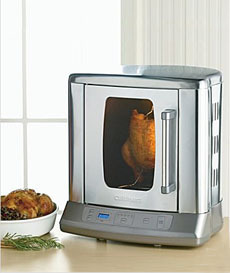 Vertical Rotisserie. It’s easy to cook low calorie foods when you have the right appliances. One of our most popular articles last January was 10 Appliances For Low Calorie Cooking. Let us know your favorite calorie-saving appliances. Find our favorite low calorie products in THE NIBBLE’s Diet Foods Section.